...By the way, you may be interested to know that all of the pre-revolutionary officers with whom I talked in the past two or 2 ½ years maintain that, although the officially prescribed color of the uniforms for privates was "dark green," in practice it was black. This checks with my own recollections of boyhood, specifically of the 119th Kolomenski and 120th Serpoukhovski Infantry Regiments stationed in Minsk, near which city our estate was located and where I started in school. From a letter from Michael [Hitrovo] to Frederick Todd, April 26, 1959. In Todd Album R20 "Russia 1907-1920, C[ommand]&S[taff], Infantry." 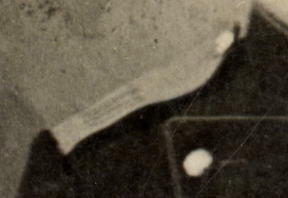 Anne S. K. Brown Military Collection, Hay Library, Brown University, Providence, Rhode Island. Below is a photo of a typical Russian private from this time. 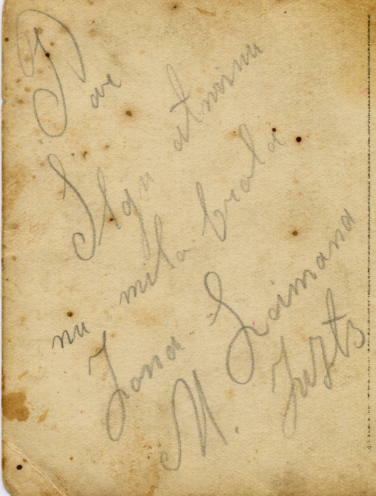 The back of the photo has some writing in Estonian. Here is another typical Russian soldier from the same period, but this time a non-commissioned officer. This photo has no identifying details. Page by Mark Conrad, 2004.